Hiroshi Yamauchi spent 53 years running Nintendo as company CEO. During that time, the company filed over 1,000 patents as Nintendo transformed itself from a collectable trading card company into one of the most recognisable video game brands in the world. This controller – released with the super nintendo (or SNES) in 1990 – became an icon of the early 1990s, with game controllers still parralleling its simple design. With this in hand, Hiroshi Yamauchi’s Nintendo won the 16-bit gaming console battle, outselling Sega’s Megadrive substantially and paving the way for further successes with the Nintendo 64. Emerging to the video games market at the same time as the more powerful Sega Gamegear and Atari Lynx,Â the GameBoy outsold them both, with iterations of the product selling over 118 million units worldwide. 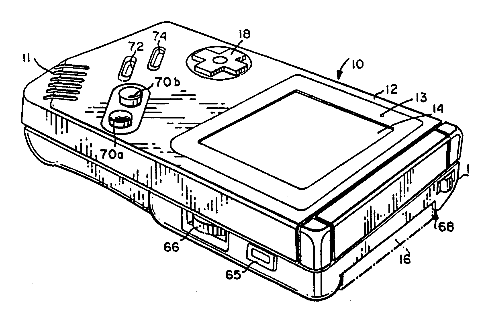 It would cement Nintendo’s position as a leading portable games manufacturer. 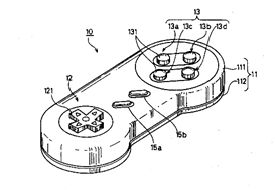 Another patent that was developed in conjunction with this Compact hand held video game system was US292399 – the cartridge for game machine.